We end our year on a sad note as our beloved ducky, Luigi, died this past weekend. He will be forever missed. We will have a speical memorial next post. May your Christmas be better than a dog in antlers! Just couldn't leave the antlers out, could you mom? 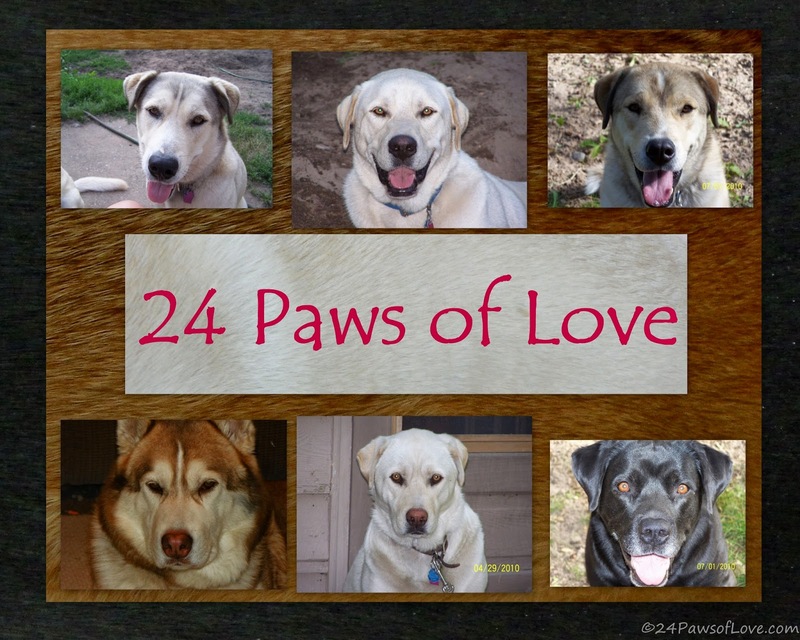 Thanks so much for reading the 24 Paws of Love! Big Bad Brut at 3 months old. 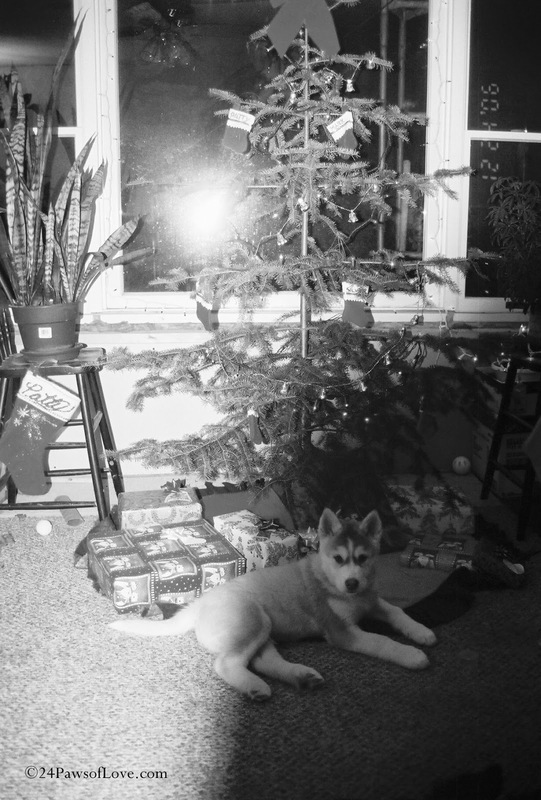 His first Christmas. Who wants a boring oval platter? Just a little more off the side. Chew how ever you feel fits you. Get down low for those power punches. Be one with the platter. And you'll see that the left over pieces add to the Christmas glitz. And your uniqueness will shine through. there's a new stud in town! 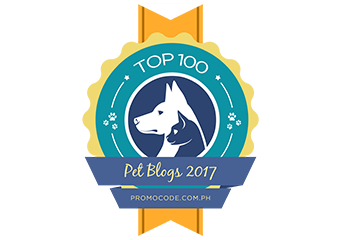 While I'm sure most of us could come up with list a mile long about everything we love about dogs, from their physical attributes, their unconditional love, their loving friendship, their companionship, to their funny quirks. But what do you think drew you into the world of canines? For me it started very young and it was their unconditional love, being it was the only love I ever received in my life. I latch on to that love with all I could to make through a childhood of abuse. I am still overwhelmed to this day that my dogs (and many along the way) have loved me when no one else did. I still find myself in a state of shock that they do love me. Sometimes it is more than I can comprehend. So tell me what do you think the key element is for you and your attraction to dogs? What about dogs pulls you in their direction? You can see Mark is drawn to the comfy pillow and lap warmer quality! And I'm a dog sled addict!! Whenever there's a hint of snow on the ground my brain freezes and my heart goes into a dog sled frenzy. I can't stop myself, nor do I want to. I just want more, more, more. I'm afraid there is no hope for me and I can not be saved. There is nothing like that first "whoosh" that rushes straight to your head and there is no turning back after that. I'll admit I have a problem and the falling snow isn't helping. Help! I'm afraid I'm a lost cause to the dog sledding bug that bites me every winter for which the only cure is to DOG SLED!! Did someone say dog sled? and snow? I'm there! I'm there! There's no hope for me, but folks save yourself! Unless, unless you care to join me....one time won't hurt...trust me......BAWHAHA!! Looks fresh snow!!!!!!!! Dog sled! Dog sled!! Dog sled!! "It's really a lifesyle, isn't it?" My husband said to me as we were relaxing after dinner. I hadn't thought of it in that way, but I loved the way his question explained itself. The dogs, the cats and the duck are our lifestyle and everything we say, think, do and express is centered around these nine animals. A lot of people don't get it, even those with animals, but I know there are plenty out there that do! What an awesome word that describes what is so full and emboddied with love. This coming from a guy who never had a pet growing up, but always wanted one, would be the one who phrased the question and noticed the difference. I'd grown up this way, with dogs and cats, it was second nature to me. And there was something about the way his eyes lit up with excitement when he discovered the meaning to his question. Almost as if it surprised him! There is something about owning animals and the life it entails. Where people look at you and shake their heads with bewilderment. That's OK, they will probably never understand what they are missing out on. Do you see your life with animals as a lifestyle? One foot of lake effect snow that hit in a day and a half. Brut really didn't want to come in. He wanted me to go out. (sorry for the crazy sideway shot, but I thought the camera would shift. I love my dogs and I have always tried to remain positive about the responsibility of having them, but sometimes being a dog mom isn't always a warm and fuzzy feeling. It could be as simple as not wanting to go out in subzero temperatures for playtime or having to do yard duty. Which most days I don't mind either, but I'm not always jumping up and down about it. Then there are the harder things to digest. Like the chances of ever taking a vacation again are close to nil. When we just had Alex and Silver we would travel downstate and take one vacation a year. We were able to take the dogs with us, now with 6 and being divided into two packs, it is impossible. Not to mention the cost of boarding them, it is out of the question. Then take the two packs themselves, we are really just winging it on a hope and prayer with integrating them. It is frustrating and discouraging and sometimes I wish we could just hire someone to fix everything and be done with it. The limitations in trainers around our rural area have been exhausted, not to mention not being able to afford what would be a long term situation. Some days it is heartbreaking and I get tired of doing it alone. That's when I have to take a step back and just do the best I can with the situation. I think what it comes down to is responsibility. I don't think it matters how many dogs you have, they come with responsibility. The amount increases with each one you have. 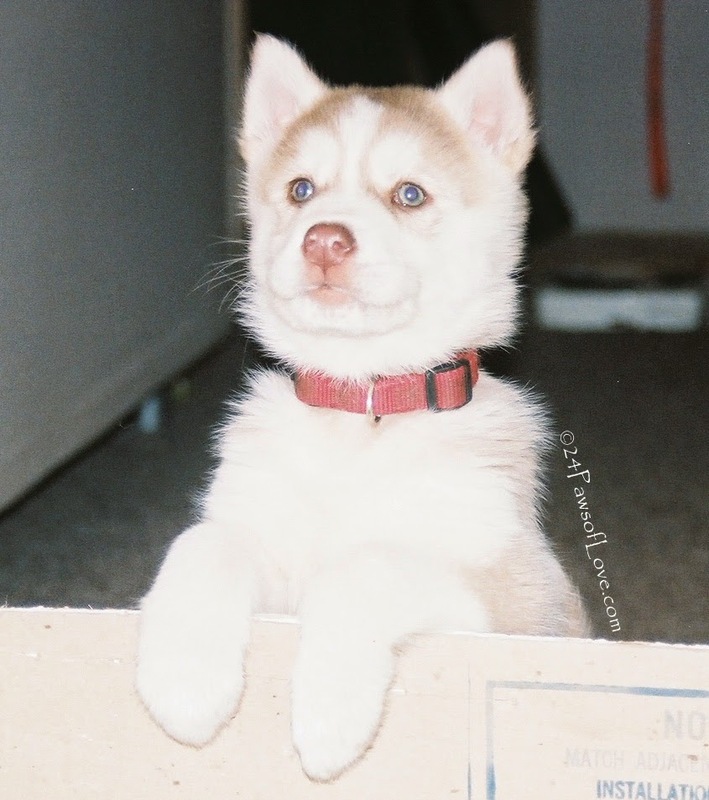 I can not tell you how envious I used to be when I visited the other puppies from our litter because for most of these owners this was their first and only dog. How easy. How simple. To be able to focus all your attention on one dog. Not to have confrontations and challenges rearing up. Not having everyone demand for their needs all at once. The ease of training, etc. It would all be easier with just one dog. There is such division in our house. 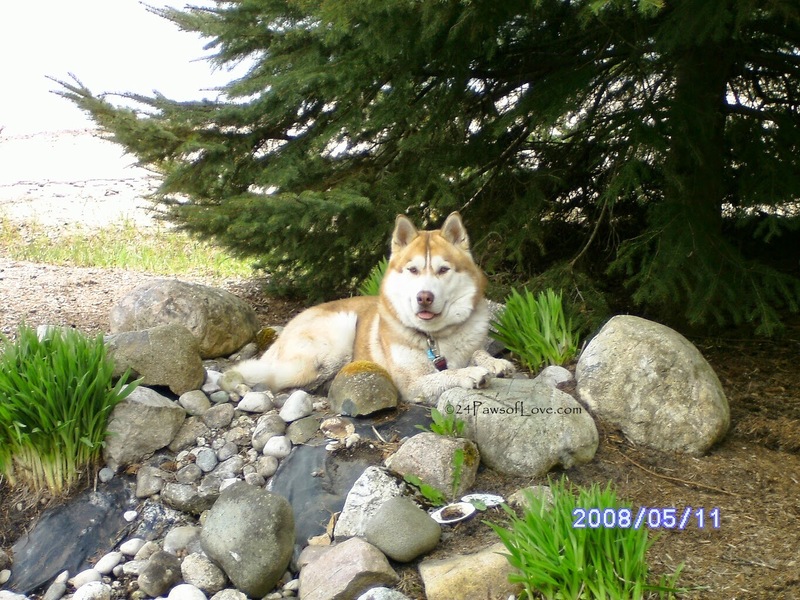 Even with the cats who can not visit the Front Dogs because Blaze was taught in her former home to chase cats and has that strong Husky prey drive. So many challenges that we must tend to and not really knowing how we are going to get there. This is a more concentrated version of what I experience every day. Most of the time I vent and I am able to let go and do what I need to for the day. Other days it comes down hard on me and wondering whether we are ever going to be able to reach our goals. Then I look and see that the dogs are doing OK. They are happy and healthy and hopefully have a long life in front of them. All it takes is to see that spark in their eyes, those sheepish grins and those tails going full tilt to watch the joy that flows around them and in them and for these moments, everything is more than OK, it is just the way it is suppose to be. Yes there is nothing like getting a little "Brut Charging" first thing in the morning. Do you ever, when you first get up in the morning and the alarm clock rings find it hard to get ready for work? Well, I know I am not alone. I pour myself a cup of coffee, watch the news and God knows the news is seldom good. Having 6 dogs is really a blessing. Each one have their own way of helping me make it through the day. Daddy Dog Brut is the one who helps me get my day started. Since I'm not able to spend much alone time with any single dog, the time I spend with Brut alone is when I first get up and everyone else is sleeping. When I bring my coffee in the living room and sit on the sofa, Brut will sit right next to me while I'm watching the news. I drink my coffee and pet Brut who is pressed up against me. I can feel his energy flowing from his body to mine. He then gets on his back and I give him a belly rub. As I do this he turns from Daddy Dog Brut into a puppy mode. I can feel his energy just flowing and as this is happening, it is like getting a charge of electricity and wakes me up until I am wide awake. Brut's puppy mode has so much energy and drive that it rubs off on me. By the time I am finished with my coffee and it is time to go to work I am ready to face anything that happens in the course of my day. "Brut Charging" is so awesome. Brut really is my battery charger to get going through my day, realizing when after that first day I kept track of each day. The days I am late getting up and having to rush out of the house to make it to work, I don't have as good of a day as I do when I have time for "Brut Charging." I don't get my battery charged and my day just seems to be a drag. So I try my best to get up when I'm suppose to, to have a better day. 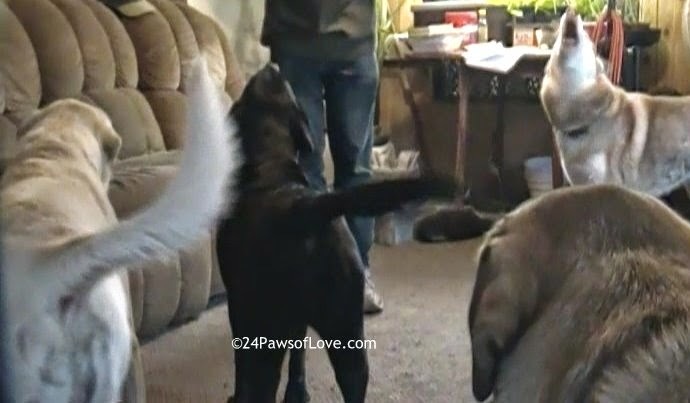 Do you ever have days like that with your furfamily? Always Nice to Talk and Walk with Friends! With hubby Mark in recovery after his hernia surgery, my life has gotten a little bit busier taking care of him and the things he can't do for now. For instance, Mark usually walks all the dogs on a short walk every other day and even though I walk with him, it is really his time with the dogs. On my walks with the dogs I take one or two dogs and take a longer walk, rotating dogs on walk day. So now I'm trying to do both walk schedules. It isn't easy. I missed the last few days since hubby has been home and needed to give all the dogs a walk. It was 6pm, dark, and cold and we had just come home from running in town. Walking the dogs was the last thing I wanted to do after starting a fire and sitting down for a "few" minutes. But I'd already made the committment and the dogs really needed to get out of the house, so I buttoned up my coat, put on my hat, grabbed my favorite leather leash and out the door Silver and I went. Silver is my easy walk. She is a good warm up dog to start with and I tend to daydream when I am with her. Once we got going I could feel the tension melt from muscles as we found a synchronizing pace. I realized my own pent up energy as we moved swiftly down the street. I was glad I told Mark I was going to walk the dogs, otherwise I wouldn't have followed through with it and I was feeling pretty good doing it. Now I don't know much about horses, but there is one on the corner of our block, and when I was in sight of her, she whinnied at me. She's never done that before. I've spoken to Sugar several times on my outings with the dogs, but just met her for the first time a couple of nights ago. She belongs to my friend and her dog Callie who I have mentioned before who is helping us learn how to socialize. Sugar is a beautiful girl and has never spoken to me before, but tonight she couldn't stop. As I walked the dogs one by one we passed Sugar then turned around and past again and every time with the exception of Silver she whinnied at us after we turned the corner, just before passing out of her sight. Even though I expected it by dog 5 and 6, she scared the crap out of me walking in the dark. p.s. Thank you for all your well wishing and prayers for Mark. He is taking it easy, which is EXTREMEMLY hard for him, but he is maganaging quite well. He will get his staples out this coming Monday and then will have 5 more weeks of taking it easy. He just had a scare after hearing about someone having the same surgery, not resting and having to go back for surgery again. Believe me that's the last thing he wants, so even though he may go stir crazy for a while, I don't think I'll have to worry about him overdoing it. Prayers, Good Thoughts and POTP Welcome! Hello friends! We took a longer than usual pause this week because hubby, Mark ended up in ER for emergency surgery on his groin hernia. He was admitted at midnight Sunday morning and came home yesterday. Mark is doing well and of course all the dogs were glad to see him. We waited until they had their dinner and settled down before they greeted him. They were all very gentle with Mark as he is obviously still in pain from surgery and is moving a little slower. He has 6 weeks of recovery ahead of him but things are looking positive. He feels better without the worry and threat of his bad hernia and he had an excellent surgeon who took care of it. We are just so lucky to have him home with us again and know that he is only going to get better. Any thoughts, prayers and power of the paw would be greatly appreciated. 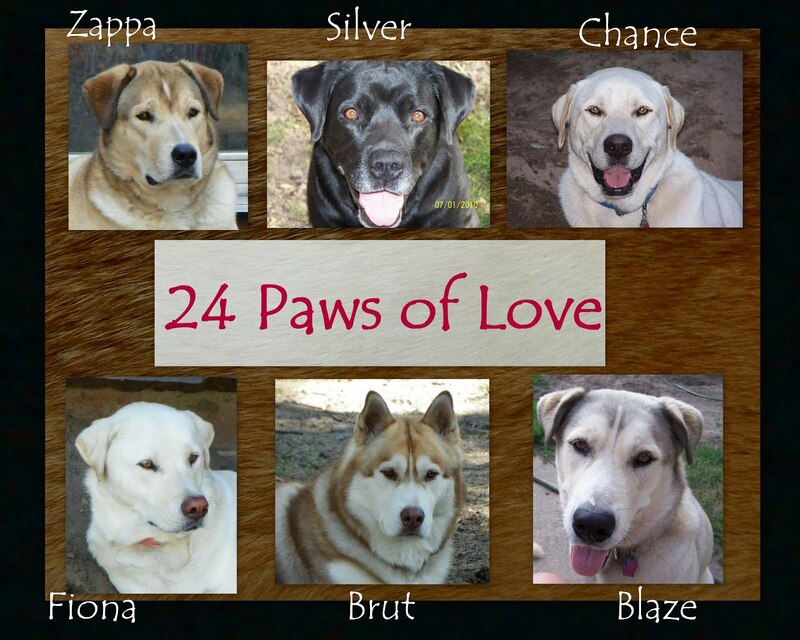 Thanks for staying around with and reading the 24 Paws of Love. I've said it before but I'll say it again, dog bloggers are the best! I've needed dogs all my life, they were my mentors on love, but I never needed I dog as badly as I needed Brut. He's been teaching me the hardest lesson I've ever had to learn and one that only he could teach. Self-love. I've been in a downward spiral of self hate for most of my life and living thru the memories of my childhood abuse (PTSD) only made things worse. I think it is why I related with and loathe Brut's aggression. It made me face myself and that was the last thing I knew how to do. There was a part of me that loved his freedom and power to express himself. Nobody walks all over Brut. I struggled to reclaim that power in my own life. To have the confidence and strength that would stop myself from my own self beatings. And I hated Brut too for his aggression and the violence and cruelty it portrayed. It became a cycle that I couldn't see. I fought hard for my heart dog. Even before I knew a word that described him. Little did I know that every time I faced Brut, I faced myself. Brut's aggression would go from 0 to 60 and back in a matter of breaths. I took a little longer on my end of forgiveness. important, I continued to love him. And every time I loved him, a little piece of me was loved. This awful, horrible being I grew up thinking I am, was chipping away when I was confronted with Brut and his aggression. For I already knew the beautiful being Brut was. I was shocked to discover much later he was thinking the same thing about me. 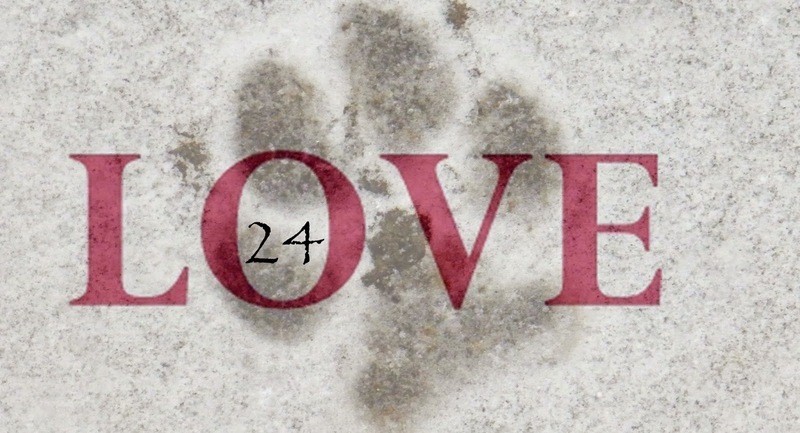 It has taken many years of dog's unconditional love that kept me believing in love at all. It was Brut that started breaking down that self prison with every growl, snarl, and gnashing of his teeth to wake this girl up and set her free. Girl hooks dog up to bike. You'll have to forgive me for my love affair with my dogs and the lessons they teach me about how to live. See I've never had anything of a future before and have just learned to survive moment to moment, so I've never had the essence to capture life and hold on to it. And this is where you'll have to forgive my special and private life with the dogs whom I capture in my heart and mind instead of on camera. My husband, Mark is the one who wants to record everything, minute by minute, while I tend to just savor the intimate moments the dogs and I share. It feels like a disruption stopping the world for that moment. Life is already too fast and fleeting and when I'm in the moment the last thing I want to do is stop it. And so I do the next best thing and write about these moments. Pen and paper are my recorder. Where I envelop the moment all over again and bring it to you the only way I know how. With words. Strung together for your pleasure to see and feel what I do in those moments. 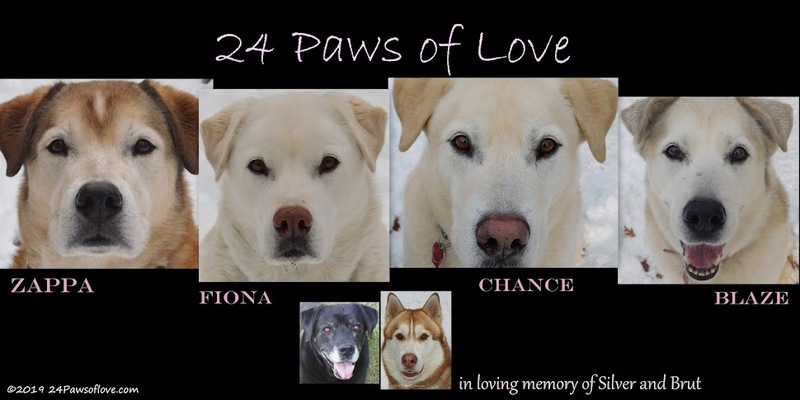 Those precious moments with the 24 Paws of Love. You know it. I know it. We all know it. Dogs are AWESOME!! Let me share my doggy awesome moment with you and then you can share one with me! I woke up. I had slept in and was late. The day was off to a horrible start and all I wanted was to turn around and crawl back in bed. All the dogs started singing and howling and carrying on as loud as they could. I could feel their voices draining out the negatives ones and my entire day turned around after that great concert. My whole day was AWESOME! Tell me how your dogs are AWESOME?? Forgive me Brut, for I have fallen in love with another dog. He is a black wolfdog named Bastas and he has captured me. Have you seen Bastas? He will take your breath away. Those glowing eyes surrounded in lush midnight fur will haunt and entice you all with one look. It sounds silly, but I feel a real connection to Bastas. If I ever have a wolfdog, I would want one like him. I haven't thought about it in a long time, but there's a chance Brut has some wolf in him. It would explain what I can't explain about him. How his aggression was so raw and wild and how there always seemed to be another element to it than just his fears. How I could never quite understand his biting frenzies and how he scared the crap out of me as a young pup. 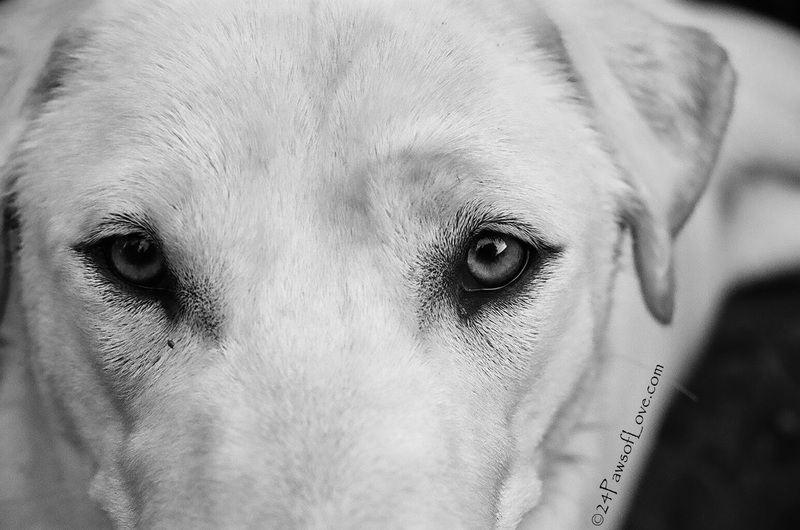 There was something in his eyes that was untamed and very un-dog like. I probably wouldn't have noticed so much these "behaviors" transpired as he aged, but at 6,7,8 weeks old it was undeniable. Like letting loose a caged beast. 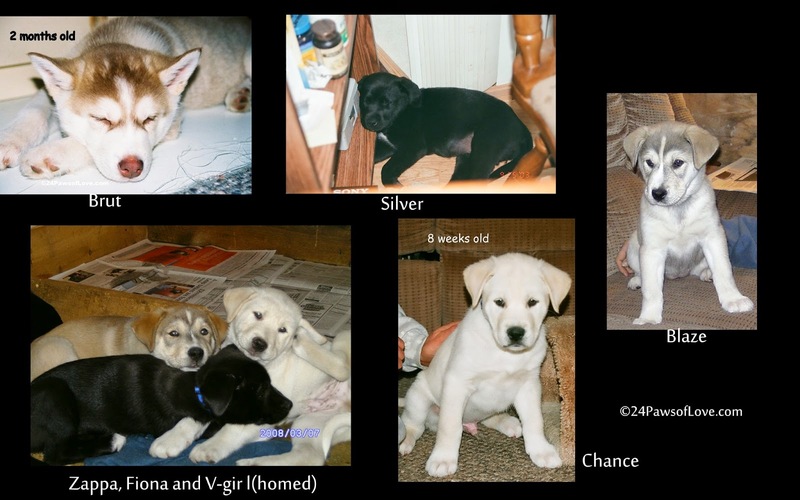 A friend of Brut's breeder confirmed the possibility as we were going through Brut's family history. There's a question mark who his great-grandma is and a wolfdog near by who great-grandpa knew. How well? I don't know. But I do know this, Brut and his four kids we have are all different than Silver. Silver is the only one of the bunch who is the "dog" of the family even though they are her kids too. She doesn't fit in with any of them, she is kind of the outsider, except for with Brut. She is not pack oriented like the rest of them, nor does she have a temper like the rest of them. There is a different kind of energy about the kids that is electric like Brut's is. A fire and ice kind of intensity. Just as there seems to be a higher sense of evolution with the five of them that Silver doesn't have. The hierarchy is higher for Brut, Zappa, Fiona, Chance and Blaze that Silver can't seem to grasp it as is the depth of their fierceness and passion that emulates from them. Silver seems to be at a completely different level and you almost wouldn't know that she is their mother! And the more I read about Bastas, the more I feel I understand what I couldn't before. Take a look at that Black Beauty named Bastas at The Wolf Crazies. You will see what I mean. We've been dragging our paws about sharing our 'new' website because mom hasn't had as much time to work on it lately, but we figure it is getting close to sledding season for those of us in the north, so we are going to unveil the beast! And why did we mention dog sledding? Cause mom was getting questions on how to get started and couldn't answer everything in a simple email. So she put together this website that has all kinds of valuable info for anyone who is thinking about getting started. Not only that but you can ask questions and leave comments in the comment section. 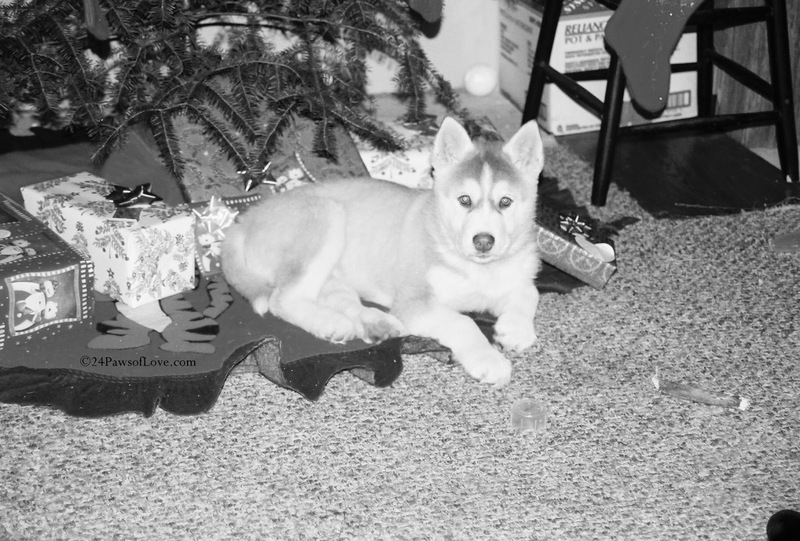 We also have a bit about how our family got started and some other great tips and helpful ideas regarding dogs. It isn't much, but we are awful proud of the dog sledding section and hope you will check it out! We'll be back real soon. LEG. I was going to say LEG! BOL! Please pray to the computer gods, it all comes back all better! Can you see the fear in his eyes even at 6 weeks old? What I sort of understood from the time I got Brut and going through his aggression, was that his aggression was a trigger for my PTSD. Looking back his aggression stood for everything that was evil and wicked in my childhood abuse. It sent immense anger, fear, and sheer terror. And I didn't know how to separate that from Brut, the dog, who also had a horrible puppy hood and was dealing with his own demons of what he went through. I didn't know at the time I had Post Traumatic Stress Disorder, all I knew was that I was reliving my childhood nightmares through flashbacks and memories and Brut was part of that. Not just for the bad stuff, but also for the good. For he gave me a strong rock to fall on and a devoted security and protection I never had in a dog before. Or any living being for that matter. His love was as fierce and as intense as his aggression and his loyalty was unbreakable. I couldn"t have asked for a dog like Brut to help me heal through all of those wicked parts of my life only to find that he was given to me with the same sheer terror that I had inside. Maybe that's why he was sent to me and I to him, to help each other through the abuse we both went through and the fears that have scarred our hearts. Because with everything I been through with Brut it was more than just a dog and human relationship, we were together to save each others souls. on Thursday, August 28, 2014 at 8pm EST. I sat looking at Brut as he looked out over his kingdom. I could see the expression in his eyes even from where I was sitting. He had a smile on his face as his large head grazed from side to side, searching the backyard for any signs of critter movement on which to pounce. Brut's shoulders were down, his haunches relaxed and his eyes were full. He was one content dog and I caught my breath as I realized the biggest change that had occurred in our relationship, I was talking softly to him, even to the point of whispering. In the beginning I panicked and ran with fear when this aggressive dog would act out on the other dogs. I yelled, I screamed, I made a fit of noise to break up fights. I would get so frustrated that I would stomp my feet and slam doors with anger. I was ridiculed with fear because Brut was a scary dog and I reacted out of that fear. I knew raising my voice set Brut off when he was about to attack a dog and I struggled with making myself calm when he was acting up. Some days Brut was just in a bad mood, testy I call it and he would try to pick fights and test me. I don't know how else to describe the dynamics that happened with Brut and I, but I wasn't proud of it. I practiced and practiced to control my tone of voice with him and together we began to heal. It has been this past year or so that I've discovered the value of a soft tone and whisper have made in my relationship with Brut stronger than ever. And this is what I was thinking about as I watched his gentle form stroll over to me. How the aggressive dog of the bunch quieted my own aggressions inside of me. I can not be the only dog lover out there who suffers from depression. I also know I can't be the only dog lover out there who has been through a traumatic childhood. And I know I am not alone in dealing with Post Traumatic Stress Disorder better known as PTSD. I know there must be others out there who struggle with one or all three of these issues. And I want to let you know, you are not alone. I am there too. It is a constant fight that is baffling and cunning and does everything to break you. The dogs and my husband are a huge part of my healing process, but they don't change the fact that I live with my demons every day. Experts in the field of PTSD will help explain, diagnose and discuss treatments available. It is free to attend and there is no registration for stream live feed, only if you physically plan to attend. The reason I thanked Pamela, is a feel like she busted the door on depression for me with her candid and honest post about her struggles with depression. And I thank her for that. We are not alone. Together we can be there for each other and help each other through each of our battles. And that is when I realized there are others out there who would like to attend the forum and with the magic of the internet, anyone can.